35 mm film is the film gauge most commonly used for motion pictures and chemical still photography. The name of the gauge refers to the width of the photographic film, which consists of strips 34.98 ±0.03 mm (1.377 ±0.001 inches) wide. 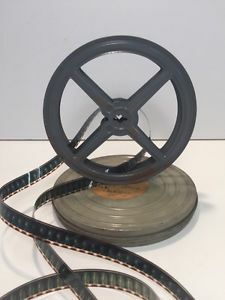 The standard negative pulldown for movies ("single-frame" format) is four perforations per frame along both edges, which results in 16 frames per foot of film. For still photography, the standard frame has eight perforations on each side.